The public commenting period on a controversial subset of Selkirk woodland caribou closes this Wednesday as federal officials move forward with re-writing protections for the North Idaho animals, which numbered as few as 18 in a 2013 headcount. Comments can still be submitted here. 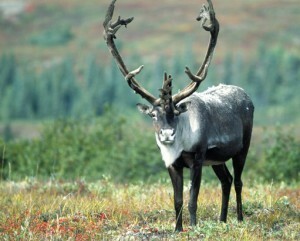 Much of the dispute has surrounded whether the small band of ungulates along the Canadian border qualifies as a “distinct population segment.” Advocates say the Selkirk caribou may be similar to other caribou residing farther north, but require specific habitat protections because of radically different migration and grazing habits. In 2012, opponents with regional snowmobiling companies and other groups argued environmental protections for the Selkirk caribou undermined local businesses and imposed unnecessary restrictions. The Inlander explored the issue in an in-depth story that spring. In May, the U.S. Fish and Wildlife Service announced plans to downgrade the herd’s protective status from “endangered” to “threatened” while setting aside 30,000 acres as “critical habitat.” That represents less than 10 percent of the 375,000 acres initially proposed for protected status. Extensive details of the proposed rules and comment process can be found here and here.